It’s not all about developing great Business Intelligence software here at Yellowfin. Sometimes we take a little time out to experience something different. 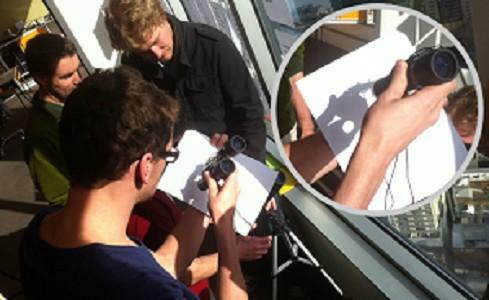 Thankfully, I spotted Dave A at the window checking out the transit of Venus. Luckily he was not using the telescope we have in the office. Before long, half the team was crowding around wanting to have a go. The photo doesn’t do it justice, but there was certainly a small black dot on the sun. Either it was Venus, or someone failed to clean the binoculars! Glad we caught it – cause although I love working for Yellowfin, I plan to have retired by December 2117.